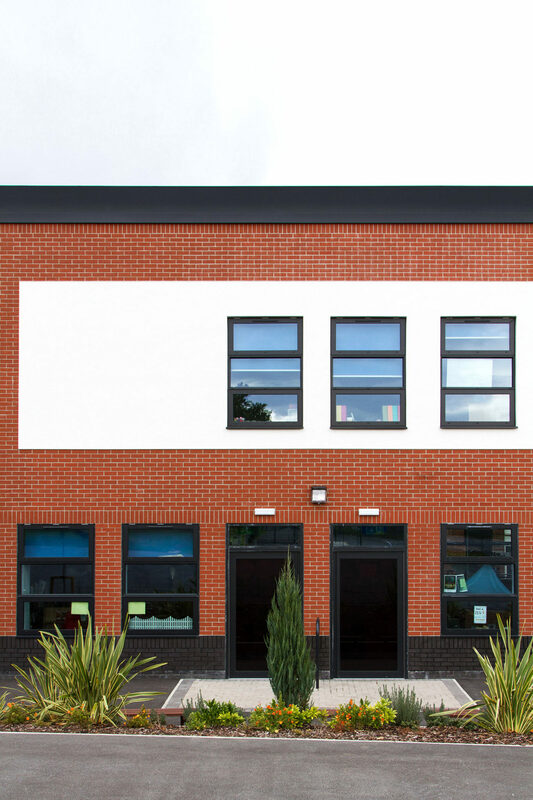 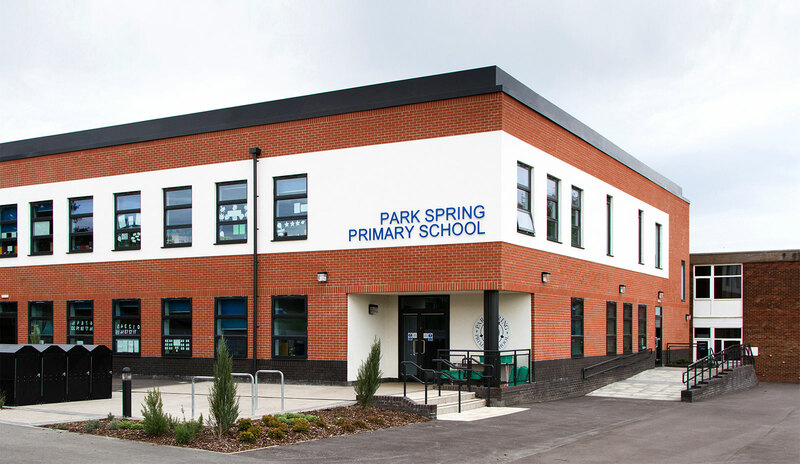 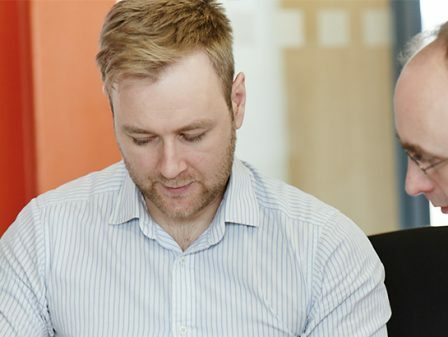 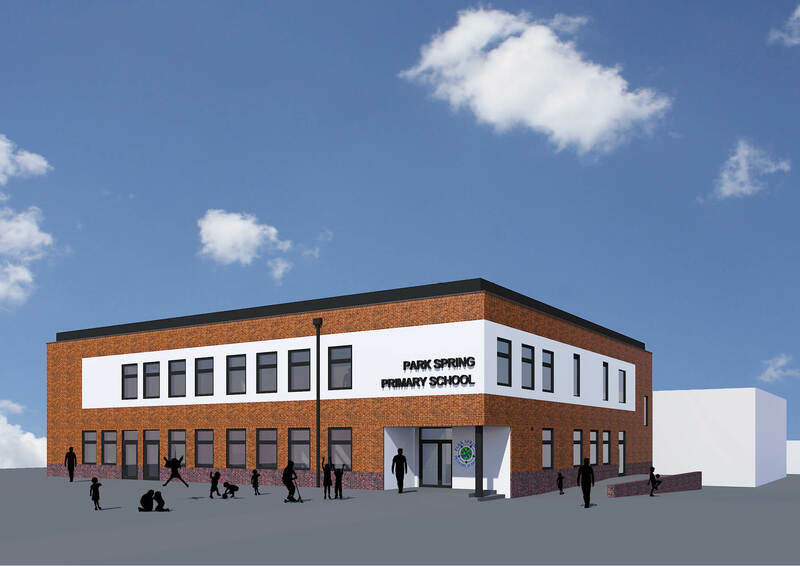 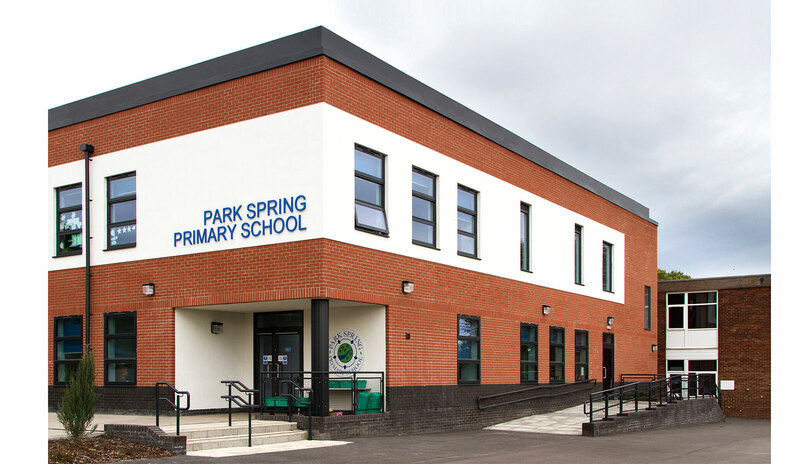 Completed works at Park Spring Primary School increased its capacity from a 1.5 form to a 2 form entry. 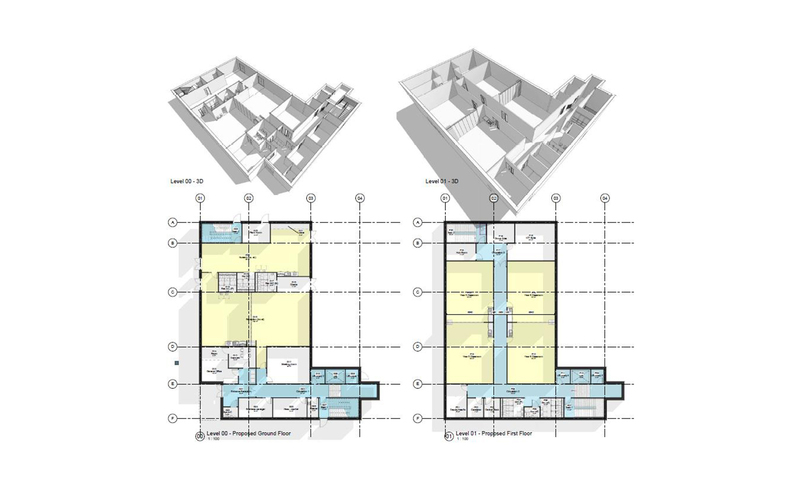 The two storey extension which links to the existing building on both levels allows free flow movement between old and new. 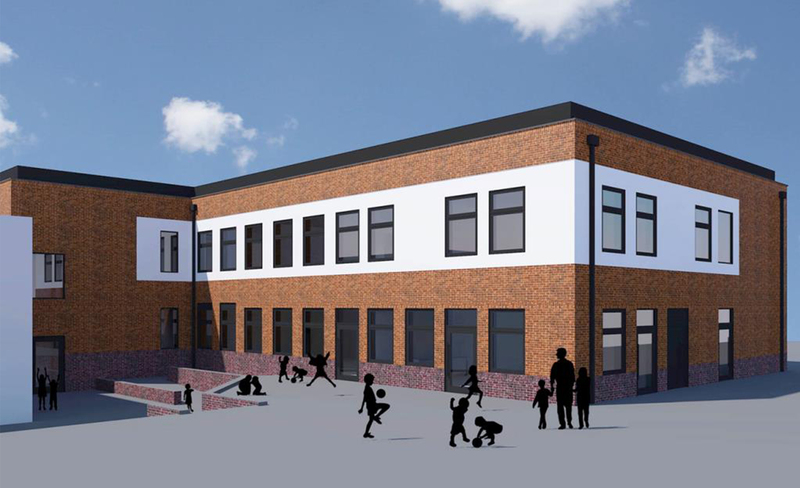 Comprising the installation of 3 double modular classrooms as decant space, a single storey classroom block was demolished to make way for the construction of a new 2 storey classroom block extension, linked at both floors to the main school building. 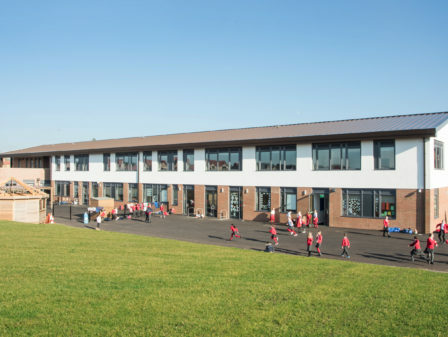 The extension provides 7 classrooms with associated toilet, cloakroom, storage facilities, a dedicated ICT Suite and administration accommodation. 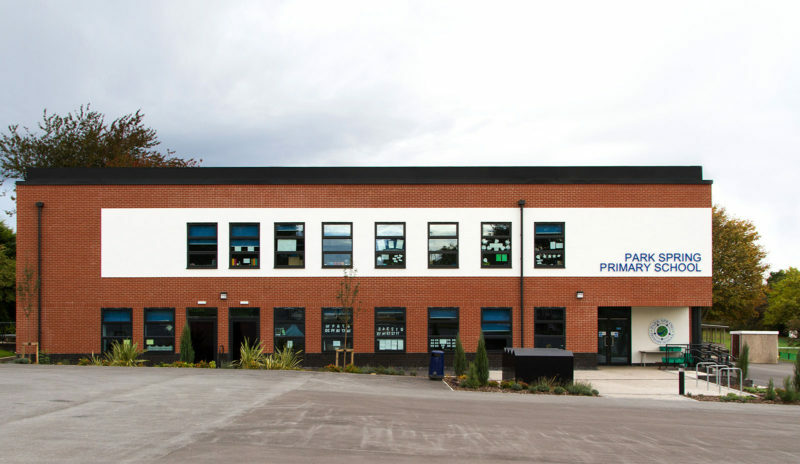 Extensive landscape works and highway alterations have been incorporated into the scheme to improve access and safety within the school. 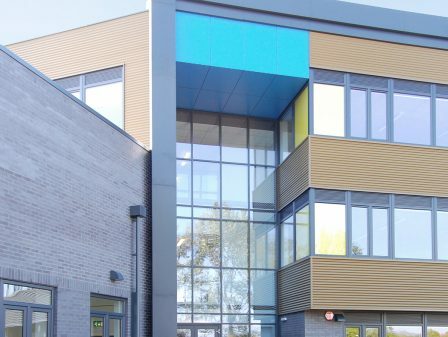 A new access point into the school allow cars, pedestrians, cyclists and emergency vehicles into the site from Swinnow Lane and provides access to a staff and visitor car park. 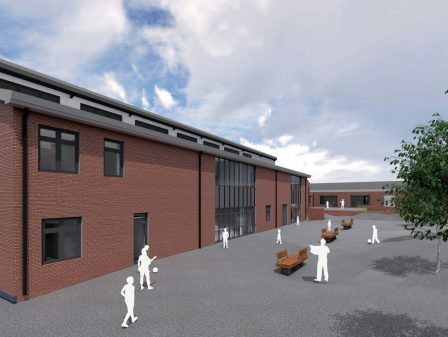 Following completion of the new 2 storey classroom block the temporary classrooms were removed and the landscape works finalised. 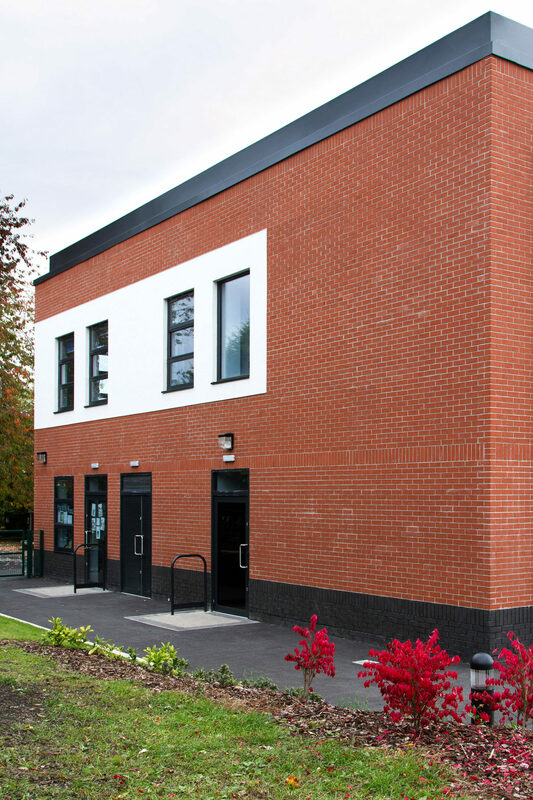 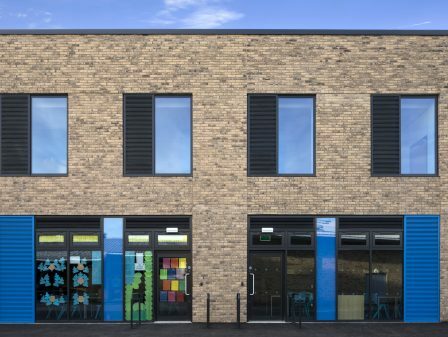 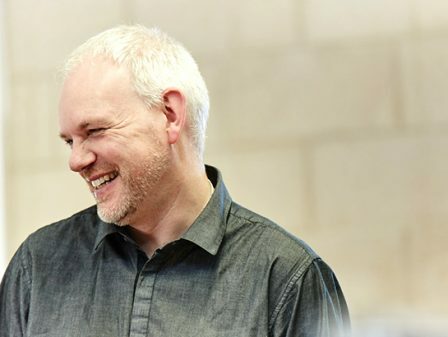 Works also included an element of internal remodelling and refurbishment within the existing school building together with some off-site highways works in connection with the new development.